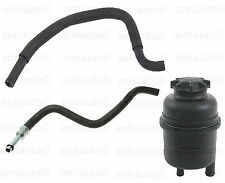 BMW Power Steering Reservoir & Hose KIT. Power Steering Pump Reservoir with Built in Filter. Reservoir To Power Steering Pump. Reservoir To Power Steering Cooling Coil. One Power Steering Pump Reservoir. 1999 - 2004 Honda Odyssey. 2002 - 2003 Acura TL. Interchange Part Number. 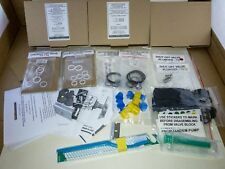 Super Fast Shipping From Multiple Locations in the USA! 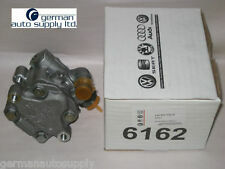 This is a Genuine OE item made for Audi by KYB. KYB is the OE manufacturer for this pump. Fits: Audi. 8E0 145 153 H (Audi). Item : Power Steering Pump. 8E0 145 153 (Audi). Car Manufacturer OE # . INFINITI G37 2009. ================================================================================. Ask us about our extended warranties! All of our products are Marked and/or stamped. =================================================================== =================================. Condition : New. Therefore all implied warranties that may apply to your part are limited to the duration of this written warranty. Each warranty gives you specific rights, and you may have other rights which vary from state to state. 1 NISSAN 370Z 2012. ================================================================================. Ask us about our extended warranties! All of our products are Marked and/or stamped. =================================================================== =================================. USED POWER STEERING PUMP WITH RESERVOIR. CLEANED UP AND REPAINTED BLACK. Fits small block MOPAR engines. 01-04 Hyundai Santa Fe Santa Fe, 2.4l 2001 - 2004. 01-06 Hyundai Santa Fe Santa Fe, 2.7l 2001 - 2006. Reservoir - Power Steering. Hyundai / Kia OEM. Manifold Lamp Knuckle Hub Hose Grill Flywheel Emblem. Toyota Lexus Power Steering Fluid Reservoir Cap Fits 2007-2009 RX350. 2004-2006 RX330. 2003-2009 GX470. 2010-2018 GX460. 2007-2012 ES350. 2004-2006 ES330. 2002-2003 ES300. Power Steering High Pressure Hose. Donor Vehicle: 2002 Lexus ES300. In Good Working Condition. 2007 Toyota Sienna. Power Steering Pressure Hose. 2010 Toyota Sienna. Production Date Range: To 12-31-2009. j r ( 94. Production Date Range: From 12-01-2006. INTERCHANGE (Vehicles this part fits). ITEM CHARACTERISTICS. ). 2004 - 2008 Acura TL. Power Steering Pump. 1 Year Warranty! Power Steering Pressure Hose. INTERCHANGE (Vehicles this part fits). ITEM CHARACTERISTICS. Dealer List. PART NUMBER. ITEM DETAILS. A e s ( 63. ) 2016-12-15. Power Steering Pressure Hose. c 4 ( 1368. 2005 E46 1 Cooling Coil to Rack. 2004 E46 1 Cooling Coil to Rack. 2003 E46 1 Cooling Coil to Rack. 2002 E46 1 Cooling Coil to Rack. 2001 E46 1 Cooling Coil to Rack. ). EXPLORER 05 exc. Sport Trac; 4.0L. EXPLORER 05 Sport Trac, 4WD. MOUNTAINEER 05 4.0L. Power Steering Pressure Hose. 1994 Gear To Cooler 1 Gear To Cooler. 1993 Gear To Cooler 1 Gear To Cooler. vehicle attributes. 1995 Gear To Cooler 1 Gear To Cooler. 2005 1 Gear To Cooler. 2004 1 Gear To Cooler. Good used shape don't know if low sensor works. Part needs cleaned. Power Steering Oil Cooler Line. Power Steering Pressure Hose. Nissan Xterra. Nissan Frontier. 2001 V6; 3.3L 1 Front. 2004 V6; 3.3L 1 Front. 2004 V6; 3.3L; 4WD 1 Front. 2002 V6; 3.3L 1 Front. 2003 V6; 3.3L 1 Front. High Pressure Power Steering Line. 13 14 15 SUBARU BRZ ELECTRONIC POWER STEERING COLUMN W/ MOTOR JJ301-001220 / 132100-1353 OEM. This is apower steering pump removed from a 95 Nissan Maxima GXE. a pretty image. Honda Parts Unlimited. Power Steering Pressure Hose. INTERCHANGE (Vehicles this part fits). Pump To Rack. ITEM CHARACTERISTICS. Dealer List. PART NUMBER. ITEM DETAILS. g l ( 37. ). Power Steering Pressure Hose. c 4 ( 1368. INTERCHANGE (Vehicles this part fits). ITEM CHARACTERISTICS. Dealer List. PART NUMBER. ITEM DETAILS. a l ( 634. ). This is apower steering reservoir removed from a 02 Honda Civic Ex. 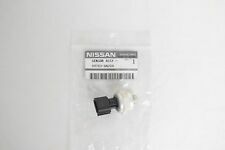 SHOULD fit 01-05 Honda Civic EXCEPT Si model. Good condition / Will NOT fit Si model. Honda Parts Unlimited. a pretty image. Power Steering Pressure Hose. 2001 E46 1. 2008 L6; 3.2L 1. 2006 3.2L 1. 2006 E46 1. a 2 ( 237. vehicle attributes. a l ( 634. ). Power Steering Pressure Hose. Pump To Steering Rack. INTERCHANGE (Vehicles this part fits). ITEM CHARACTERISTICS. Dealer List. PART NUMBER. ITEM DETAILS. Great products! Power Steering Pressure hose. Volkswagen Jetta. Volkswagen Golf. 1999 1.9L; Diesel; w/o A/C; w/ A/T 1 To Rack. 1999 2.0L; AEG Eng. ; w/ A/T 1 To Rack. 1999 1.9L; Diesel; w/o A/C; w/ A/T 1 Pump to Rack. 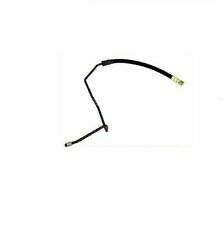 NEW Toyota 4Runner 2.7L 1995-2000 Power Steering Pressure Hose. 1995-2000 Toyota 4Runner. Power Steering Pump 2010-2016 Land Rover LR4 - Remanufacturer Direct. 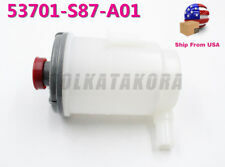 Our pictures represent the Actual Im age of the Power Steering Pump up for sale. This Power Steering Pump assembly has been remanufactured and tested to the strictest OE standards for unparalleled performance. (Power Steering Pressure Hose. 2004 Toyota Tacoma. 2000 Toyota Tacoma. Production Date Range: From 09-2000. ) 2016-12-24. INTERCHANGE (Vehicles this part fits). ITEM CHARACTERISTICS. Dealer List. 2006 BMW 330Ci Base Convertible 2-Door 3.0L 2979CC l6 GAS DOHC Naturally Aspirated. 2006 BMW 330Ci Base Coupe 2-Door 3.0L 2979CC l6 GAS DOHC Naturally Aspirated. 2005 BMW 330Ci Base Convertible 2-Door 3.0L 2979CC l6 GAS DOHC Naturally Aspirated. 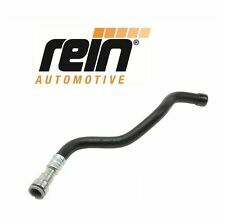 (Power Steering Pressure Hose. 2003 Nissan Murano FWD. FWD, Pump To Rack. Production Date Range: From 09-2002. ) 2016-12-24. INTERCHANGE (Vehicles this part fits). ITEM CHARACTERISTICS. Dealer List. 2002 VOLVO S60. Feel Free to inquire about any other VOLVO S60 Parts! Donor Vehicle. 2003 M54; From 10/2003 1 Rack to Cooler. 2006 E53; 3.0i 1 Rack to Cooler. 2005 E53; 3.0i 1 Rack to Cooler. 2004 E53; 3.0i 1 Rack to Cooler. Dealer List. vehicle attributes. INTERCHANGE (Vehicles this part fits).